The treatment team is an essential component of dialectical behavior therapy (DBT). 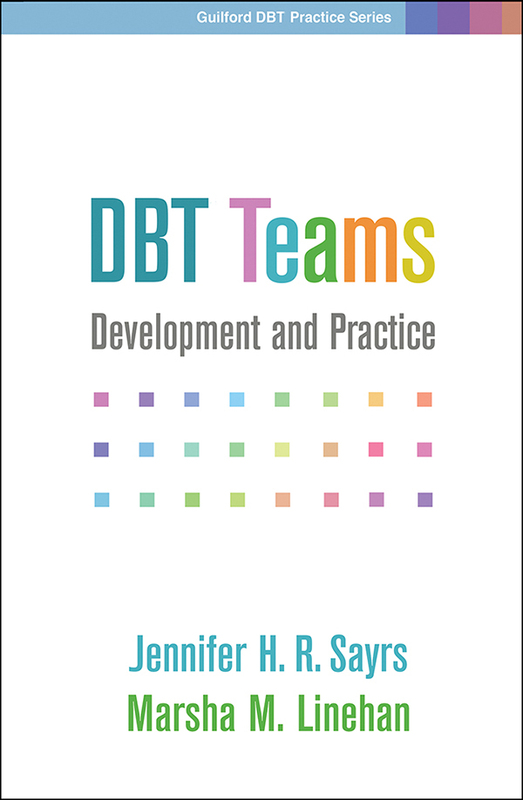 This much-needed resource from Jennifer H. R. Sayrs and DBT originator Marsha M. Linehan explains how DBT teams work, ways in which they differ from traditional consultation teams, and how to establish an effective team culture. The book addresses the role of the DBT team leader; the structure of meetings; the use of DBT strategies within teams; identifying and resolving common team problems; and important functions before, during, and after suicide crises. User-friendly features include end-of-chapter exercises and reproducible handouts and forms. Purchasers get access to a Web page where they can download and print the reproducible materials in a convenient 8½" x 11" size.